A Thomisus species thomisidae feeding a Junonia almana on a Acmella ciliata flower. English : A Thomisus species thomisidae feeding a Junonia almana on a Acmella ciliata flower. English : Bharatanatyam - Learn Slokas from Abhinayadarpanam (Video Lesson for Beginners), by Harini NC, Director of Kalavenue.﻿ Dhyana Sloka, Guru Stuti, Hanuman Stuti, Asamyuta Hasta, Samyuta Hasta, Patrasya Prana, Natya Krama, Pushpanjali, Kinkini Lakshanam, Shiro Bheda, Drishti Bheda, Greeva Bheda. English : San Francisco after the 1906 earthquake footage. Organ of Altenburg Abbey Church (Lower Austria) by Anton Pfliegler (1775). Above the fresco by Paul Troger (1733): Transfer of the Ark of the Covenant by King David. English : Organ of Altenburg Abbey Church (Lower Austria) by Anton Pfliegler (1775). Above the fresco by Paul Troger (1733): Transfer of the Ark of the Covenant by King David. English : Bedřich Smetana: Polka in A minor from the cycle Vzpomínky na Čechy ve formě polek (Memories of Bohemia in polka form), op. 12. Performed by Veronika Ptáčková at the Wikipedia 10 Celebration Concert in Prague, organized by Wikimedia Czech Republic. English : Aerial recording of test area of WSL Institute for Snow and Avalanche Research SLF, Weissfluhjoch, (2536 m), Davos, Grisons, Switzerland. Slender Mongoose (Galerella sanguinea) in Prague Zoo, Czech Republic. English : Slender Mongoose (Galerella sanguinea) in Prague Zoo, Czech Republic. English : Crab Pachygrapsus marmoratus searching for food, Adriatic Sea. About two weeks after the Bento Rodrigues dam disaster, the iron waste reached the Atlantic Ocean waters, configuring the worst environmental disaster in Brazil's history. English : About two weeks after the Bento Rodrigues dam disaster, the iron waste reached the Atlantic Ocean waters, configuring the worst environmental disaster in Brazil's history. English : Survival training in the snow in Norway of the Royal Air Force for NATO. A.o. making a sleeping bag from parachute fabric, making snow shoes from branches and making snow shelters, 1966. English : Michael Clark talks about India's human spaceflight program and the rockets that will enable them. English : Tabla drums demo. Scenery of the pond at Shitennō-ji Honbō Garden in Osaka. English : Scenery of the pond at Shitennō-ji Honbō Garden in Osaka. English : Actual footage of nuclear bomb testing. Tropical kingbird (Tyrannus melancholicus), the Pantanal, Brazil. English : Tropical kingbird (Tyrannus melancholicus), the Pantanal, Brazil. English : Poem Philosophy by Élisa Mercœur, performed by Laura Dussard for the Thalie Envolée project. English : Release video about the "0 A.D. Alpha 12 Loucetios", the twelfth alpha version of 0 A.D., a free, open-source game of ancient warfare. English : A giant moray (Gymnothorax javanicus) filmed during a night dive in the Red Sea, Egypt. Ronja Hilbig on the red carpet of the Filmball Vienna at Rathaus, Vienna, Austria. English : Ronja Hilbig on the red carpet of the Filmball Vienna at Rathaus, Vienna, Austria. English : New teaser of movie Je lutte donc je suis, by Yannis Youlountas. Musics of this teaser: I Am No Hero (Without Antennas) and Je lutte donc je suis (Loran Bethune). Solidarity movie, in support of initiatives from Greece and Spain (groups Anepos et Berceau d'un autre monde). A 1928 Model A Ford in front of Bowen Island Public Library, owned by Dan C. of Bowen Island. English : A 1928 Model A Ford in front of Bowen Island Public Library, owned by Dan C. of Bowen Island. English : Artisan making a coir toy, Basudeipur, Puri district, state Odisha, India. Coir toy making is an old and traditional craft in this region. Families over generations are involved in this craft. Street craftsman in Olinda, Pernambuco, Brazil. English : Street craftsman in Olinda, Pernambuco, Brazil. English : Exhbition of part of fast chess game, junior competition. The Church of the Iviron Theotokos in Zhukovsky, Moscow Oblast. English : The Church of the Iviron Theotokos in Zhukovsky, Moscow Oblast. English : Part of sport game curling, Swisscurling League 2012/2013, Geneva. Syrian and Iraqi refugees reach the coastal waters of Lesbos in Greece, after having crossed from Turkey. English : Syrian and Iraqi refugees reach the coastal waters of Lesbos in Greece, after having crossed from Turkey. English : Footage of various aerial, aquatic and rodeo stunts from the early 20th century. The stone bridge of Koluvere manor, built in the first half of the 19th century, Lääne County Estonia. English : The stone bridge of Koluvere manor, built in the first half of the 19th century, Lääne County Estonia. English : Reportage of AlterJT about Sivens. Pholiota squarrosa, commonly known as shaggy scalycap, shaggy Pholiota, or scaly Pholiota, is an inedible mushroom in the Strophariaceae family. Photo taken in Ingstetten, Schelklingen, Germany. English : Pholiota squarrosa, commonly known as shaggy scalycap, shaggy Pholiota, or scaly Pholiota, is an inedible mushroom in the Strophariaceae family. Photo taken in Ingstetten, Schelklingen, Germany. English : The 24 hour time-lapse video of the upper chamber of the Miraflores Locks from 12th November 2012, Panama Canal, Panama. Women of Britain say - "GO!" (1915). First World War military recruitment poster by E. Kealey. English : Women of Britain say - "GO!" (1915). First World War military recruitment poster by E. Kealey. English : Glow discharge in a low-pressure tube caused by electric current. Performed by Prof. Oliver Zajkov at the Physics Institute at the Ss. Cyril and Methodius University of Skopje, Macedonia. Krafla power plant - Kröflustöð - Iceland. English : Krafla power plant - Kröflustöð - Iceland. English : Inter university competition in wheelchair basketball at Arena, University of Worcester, UK. Oriental persimmon (Diospyros kaki) is an edible fruit. English : Oriental persimmon (Diospyros kaki) is an edible fruit. English : Video taken by the crew of ISS Expedition 29 on board the International Space Station. The sequence of shots was taken October 21, 2011 from 19:53:26 to 20:25:24 GMT, on a pass beginning over Turkmenistan, east of the Caspian Sea to south-eastern China, just north-west of Hong Kong. Votive bronze drum from the late 8th century BC, found in the Cave of Zeus of mount Idi in Crete. The central figure has been identified as Zeus, who is breaking the backbone of a lion, while controlling a bull with his left foot. The two winged figures are Kouretes, that beat the drums to prevent Kronos, the infant eating father of Zeus, from hearing his baby cries during infancy. The decoration of the drum has many influences from Assyrian art. Exhibited at the Archaeological Museum of Heraklion, Greece. English : Votive bronze drum from the late 8th century BC, found in the Cave of Zeus of mount Idi in Crete. The central figure has been identified as Zeus, who is breaking the backbone of a lion, while controlling a bull with his left foot. The two winged figures are Kouretes, that beat the drums to prevent Kronos, the infant eating father of Zeus, from hearing his baby cries during infancy. The decoration of the drum has many influences from Assyrian art. Exhibited at the Archaeological Museum of Heraklion, Greece. English : Video from part of FEI World Cup Driving, 2014, Bordeaux. Snow covered woods on the western slopes of the Beskid range of Silesia and Moravia. English : Snow covered woods on the western slopes of the Beskid range of Silesia and Moravia. 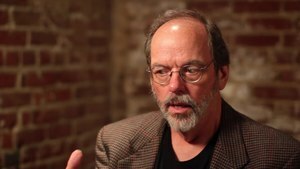 English : Interview with Ward Cunningham, inventor of the wiki. English : NASA scientist Eric Rignot provides a narrated tour of Greenland’s moving ice sheet. Misty morning at Kranj, Upper Carniola, Slovenia. English : Misty morning at Kranj, Upper Carniola, Slovenia. English : A Village in Punjab, 1925. Neon triplefin (Helcogramma striatum) on Honeycomb coral (Diploastrea heliopora). English : Neon triplefin (Helcogramma striatum) on Honeycomb coral (Diploastrea heliopora). English : Demonstration blocked in front of the Toulouse Town Hall, France. European rhinoceros beetle, male, Ukraine. 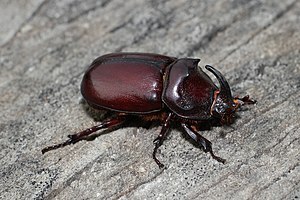 English : European rhinoceros beetle, male, Ukraine. English : The Pavilion of Ole Miss (University of Mississippi) construction time-lapse, five minute intervals from May 23, 2014 to January 2nd, 2016 Monday through Friday between 7:00 am and 5:00 pm each day. Lightning over the Isle of Dogs in London. English : Lightning over the Isle of Dogs in London. English : Poem Si je mourais là bas… by Guillaume Apollinaire, performed by Arnaud Sottiaux for the Thalie Envolée project. A knight in armour taking part in a historical reenactment of the Battle of Tewkesbury. English : A knight in armour taking part in a historical reenactment of the Battle of Tewkesbury. English : Aircraft Lockheed Martin X-35 demonstration video - in flight, conventional take-off, maneuvers, in-flight refueling and conventional landing. Night sky view from the Luhasoo bog in Estonia showing the Milky Way, Andromeda Galaxy and one meteor from the Perseids streaking across the sky. Light pollution is visible along the horizon. English : Night sky view from the Luhasoo bog in Estonia showing the Milky Way, Andromeda Galaxy and one meteor from the Perseids streaking across the sky. Light pollution is visible along the horizon. English : Tora-Jaigantic (Official Music Video).